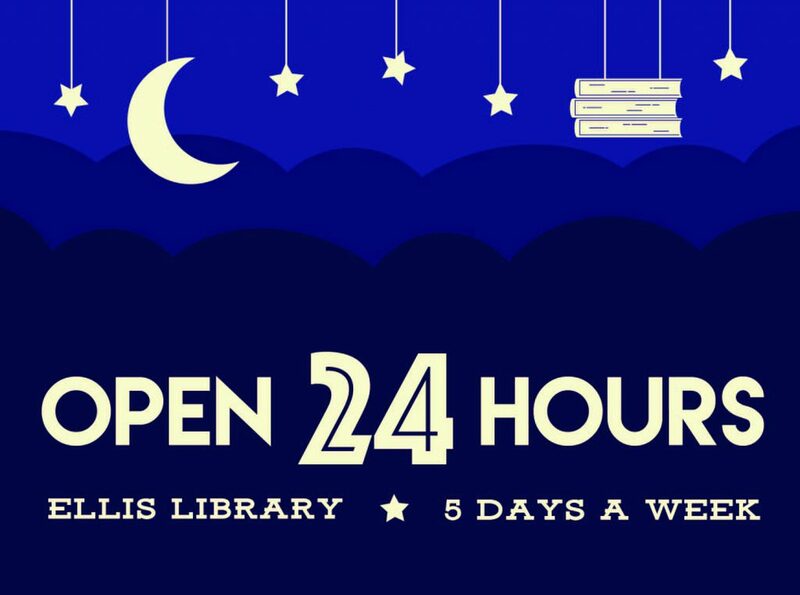 Ellis Library will be open from noon on Sunday until midnight on Friday and from 8 am until midnight on Saturday starting Tuesday, September 4. Only students, faculty and staff with a valid ID will be allowed in the library from 10 p.m. to 7 a.m.
Service hours, such as check-out and research, are not available during all hours the library is open. For a complete list of all library hours, please visit library.missouri.edu/hours.